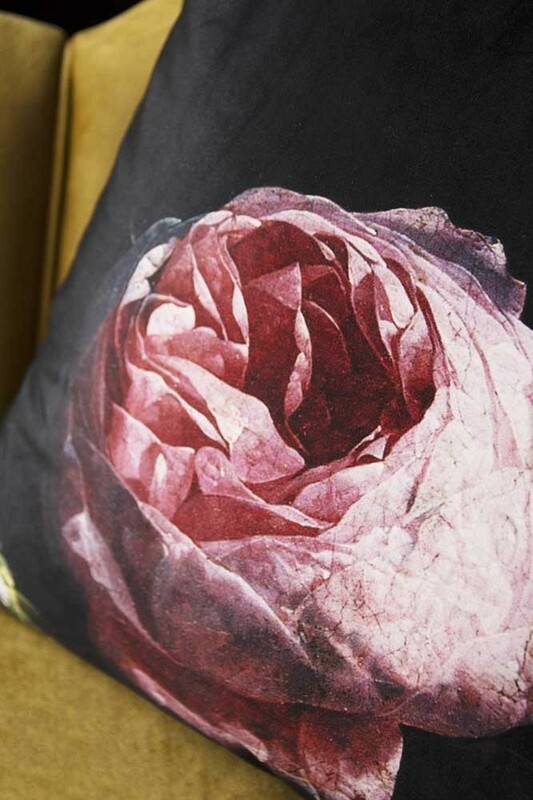 Celebrating the natural beauty of a single rose, the Pink Rose Cushion introduces a modern take on timeless floral patterns in interiors. Made from high quality velvet and measuring 45cm x 45cm, the Single Pink Rose Cushion is manufactured in the UK and forms part of our Rockett St George own-brand cushion collection. Taking inspiration from antique artworks, the collection features beautiful blooms and fabulous felines across an indulgent velvet surface. 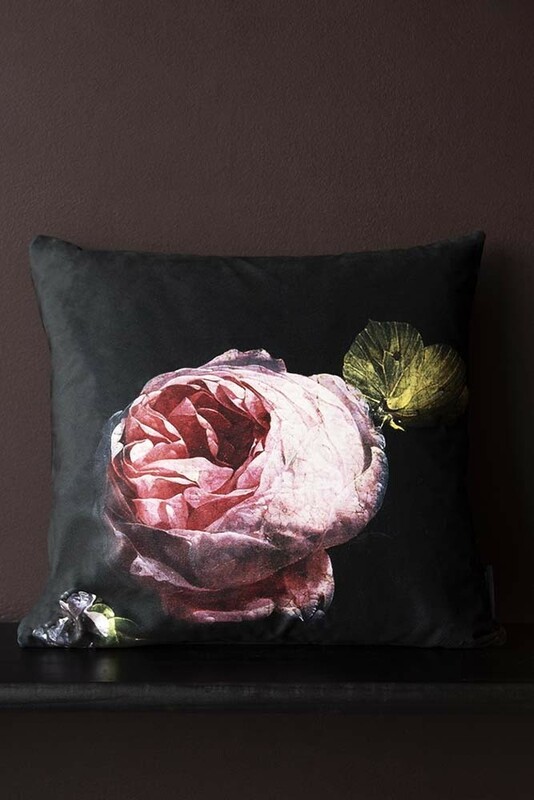 The Single Pink Rose Velvet Cushion is anything but ordinary! Providing a pop of pattern and plenty of amazing old school glamour, we love the pink flower cushion and are confident that even if you weren’t a fan of floral patterns before, you will be now! 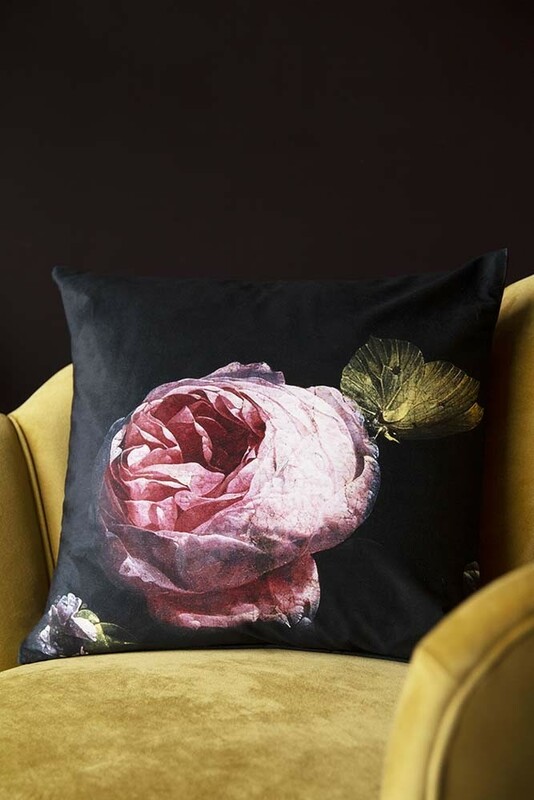 Inspired by antique oil paintings and treasures from vintage markets, the Single Flower Cushion features a lone garden rose in bloom with all the rich textures and unique cracked qualities you would expect from an original work of art. 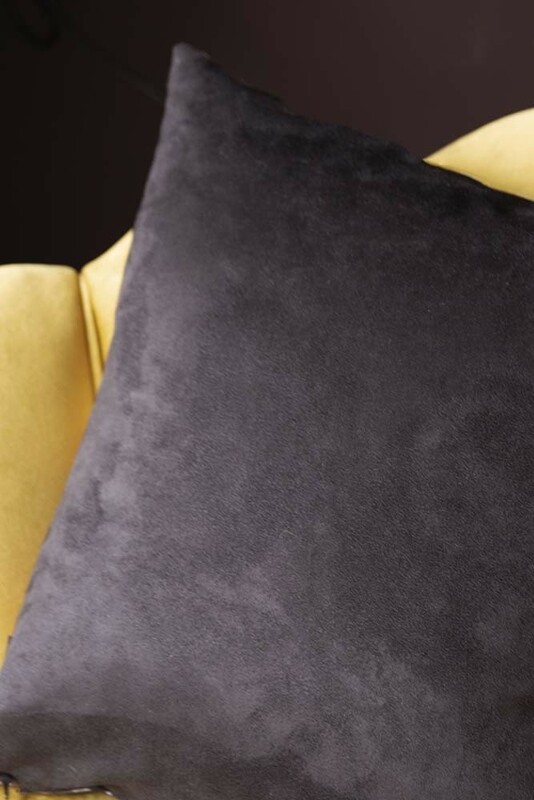 Dark and decadent, the black velvet background provides the perfect contrast for the central rose and promises to set the tone in any room of your home. As one of the easiest ways to update your interior, incorporating colour and texture into your living room can make a huge difference to the overall look and feel of the space. 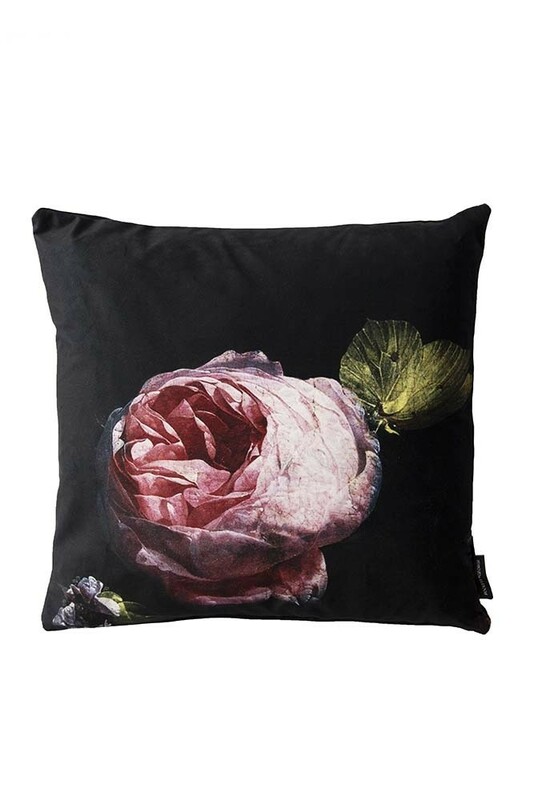 Classic with a hint of the dark side, the Single Pink Rose Velvet Cushion is incredibly versatile when it comes to style and can be displayed solo or layered with sumptuous printed and plain velvet cushions in the bedroom or living room as a final finishing touch.